Easter baskets can be fun-filled without being sugar filled. I remember when I was little my Easter baskets had a little bit of both candy and non-candy items. This year I am excited to include a bunch of non-candy items in their baskets and I am excited to share some fun ideas with all of you on things we have found and played with that we think your kids will love. I love that there is no mess and the kids really enjoyed creating fun designs on the eggs. It is great for little ones, too. Older kids will want to make more intricate designs while younger kids will be so excited to see the colors appear on the eggs. I truly love this. 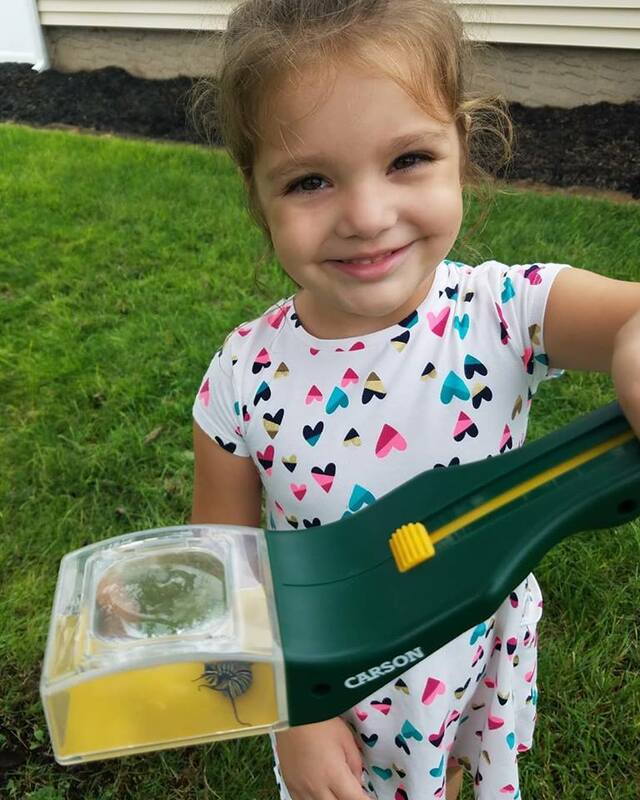 The Carson AdventurePak™ and BugView™ are the perfect gifts for kids to get a better view of animals, bugs, trees, flowers and so much more. 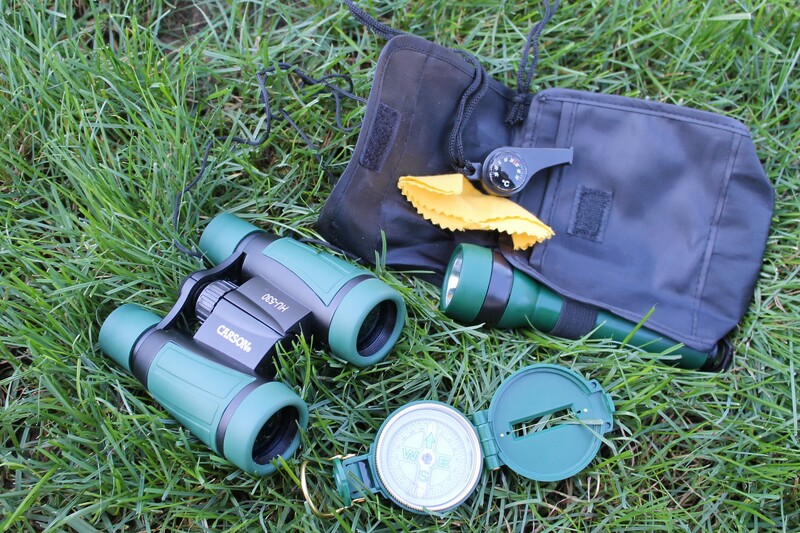 We love to hike and explore our local nature centers and we never forget these great tools from Carson. 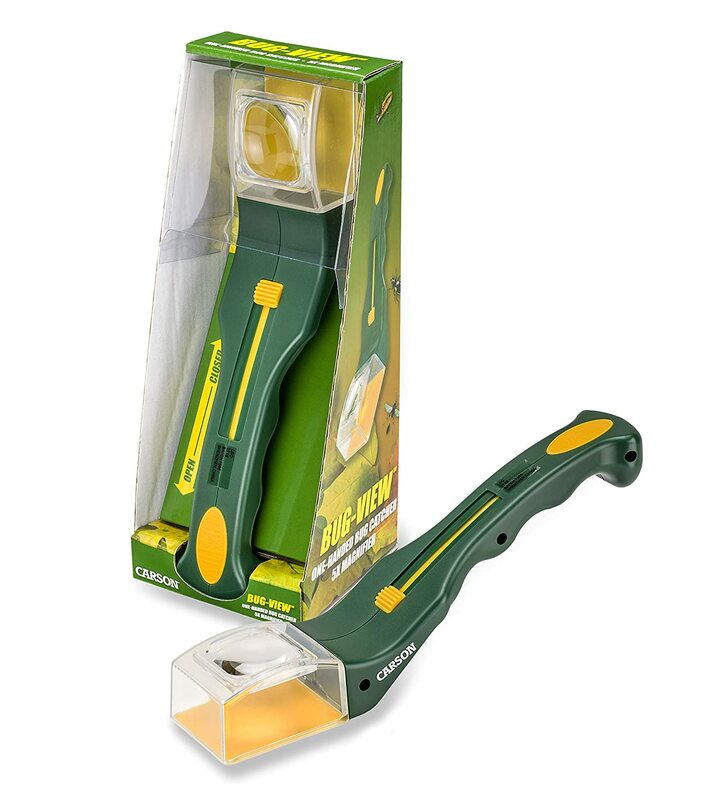 They are high quality products/ tools that we highly recommend. We love Jumping Jack by our friends at Goliath Games ! Have you played? This is a great game for kids to play to help with fine motor skills. “The Fubbles® Musical Bubble Unicorn lights up, plays music and blow bubbles – making it the perfect gift for birthdays and other celebrations! We can not help but, smile as we play with our Musical Bubble Unicorn! Find it at your local Target! Aghhhhhh these smell soooo good. The perfect Easter Basket Filler for the kids in your life. Scented Bubbles from Little Kids Inc. The Berry Blue is such a great scent. It is Bubble-riffic! Pressman Toy Corp has Charades for Kids that makes a great gift for a Family Game Night. We love charades and this version is great for kids ages 4 and up. Adults will love joining in in the fun, as well. We have been obsessed with Drop Balls from Kess since we hung out with them at the Toy Fair this year. Drop Dots come in vibrant colors and designs and are the coolest bouncy balls your kids will play with. They are easy to catch thanks to the cool texture and design. Grab these for your kids Easter Baskets and Spring Fun! Series 2 Wowzer Surprise is so cute! The girls were so excited to reveal which surprise friend was inside. We love the Garden of Wonder friends that magically appear inside the globe once you add water. The friend is hidden by the clear orveez inside the globe until you add the water. But, don’t worry the orbeez didn’t disappear. You can empty the water and reveal the magical surprise over and over again. 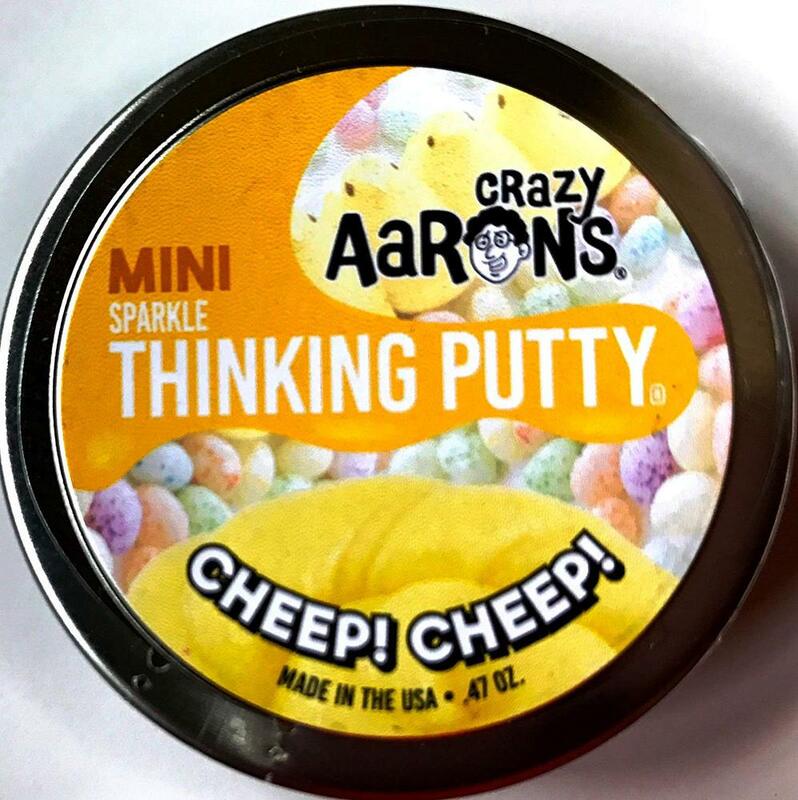 Peeps that you can Squeeze!, Yes, please. Super slow rise foam! Squeeze – it’s squishy! These are super fun and a perfect non-candy Easter basket filler for your kids. Pomsie Poos Series 1 has adorable animals such as Spot the Dog and Sydney the Koala (seen here). There is also fox, bats, raccoons and more. Your kids will love heading out with their Pomsie Poo. 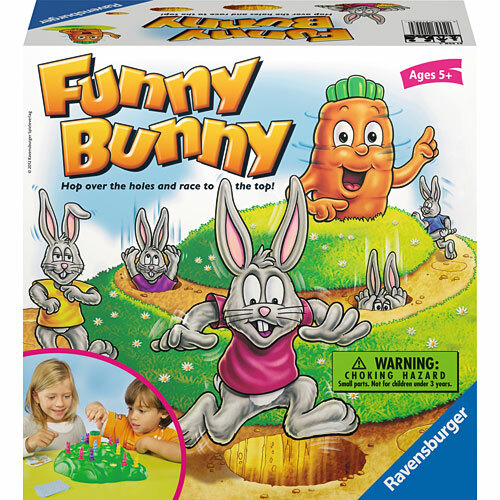 Do your kids love watching the You-tube sensation, Sunny Bunnies? 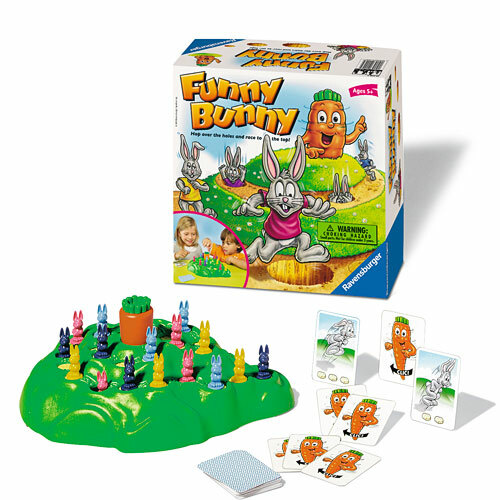 These silly and chatty bunnies are also, seen on Disney and Disney Junior worldwide. The girls are having so much fun blasting the 5 bunnies out of the cannon in the Bunny Blast Playset and hugging the soft and cuddly Bunny Blabbers who make funny and silly sounds when you press their tummy. Collect all 5 bunnies! ZURU Toys Cotton Candy Cuties are such a fun surprise toy! The Cotton Candy slime is SOOO stretchy and smells so sweet- and you’ll find a surprise squishy in the large Cotton Candy Cuties pops, too! Check out what we found. 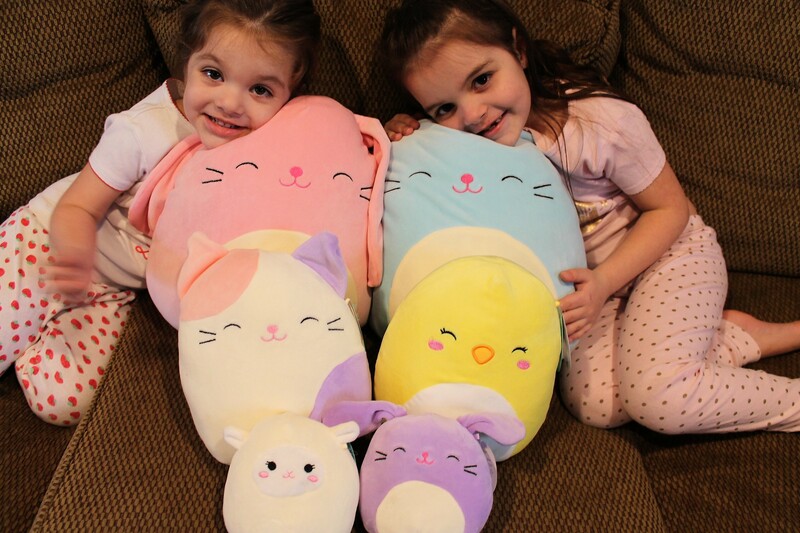 Kellytoy has created a line of loveable buddies with a spring theme made from super soft marshmallow-like texture and polyester and we love them! We are fans of the Grumblies series. We love trying to imitate our favorite Grumblies and make their angry faces. (They truly are so cute). These blind packs are fun to open and see which of the 12 characters you will find from the first series of Grumblies Miniacs. There is a hole on the bottom of the figure so you can use them as a pencil topper, too. So fun, right? We love when you open the blind bag the first thing you notice is the long colorful hair and then you will see the full figure and thanks to the collectors guide you will be able to find out the name of your Grumblie Maniac. We found: Mudslide, Hex, Surge and Bolt. We know your kids will love these as much as we do. So fun to collect. 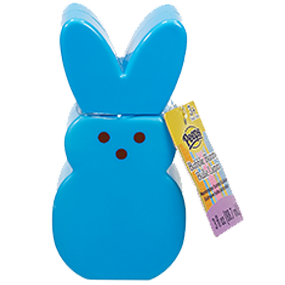 I know, I know the delicious Radz candies are in these (and this is a non- candy post) but, these dispensers are so cute and fun to play with and they also have clips on them to hang on your child’s backpack. We love them for Easter basket fillers and you will, too! We love these Radz dispensers. The Radz Foamz are squishable and the other Bunny Candy Dispensers are super fun to play with because you can push their tongue out for a delicious Radz candy treat and you can mix the hats up amongst the other bunny candy dispensers. How can you resist these Unicorn Cutie Cuffs from our friends at Bulls i Toy? These unicorns are huggable and will feel so comfy on your wrist. Bring your unicorn friend wherever you go. With 8 huggable and sparkly friends to collect you are going to want them all. We are loving our Mashems Wear’ems! Our friends at Basic Fun Toys has sent us the most adorable collectibles that you can wear. Have you checked out the Mashems Wear’ems Series 1? There is 24 wearable squishy animalsnto find, collect and wear. Which ones will you find? We found Snuggles the blue puppy, Nikki the purple Narwhal, Lainey the blue sheep and Purty the pink fox. So cute! We love these and we know your child will, too! 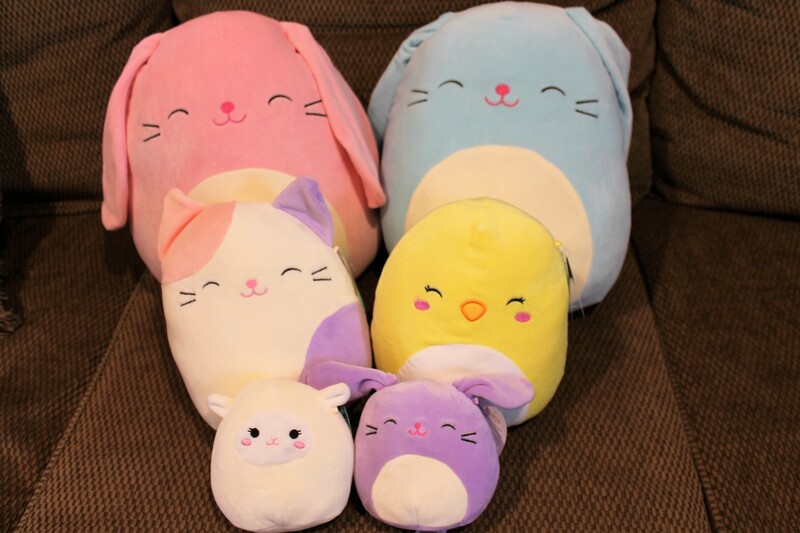 How adorable and squishy are the Pet Boutique Series 2? The surprise packs contain a new Slo Rise Squish’ Um pet for you to collect. COLLECT ALL 16 SCENTED STYLES OF PETS INCLUDING PUPPIES, KITTENS, BUNNIES AND UNICORNS! Play Visions has sent us the Crayola Slyme to check out and it is super sticky and gooey fun for kids ages 3 and up. This sensory fun, sparkly Slyme drips and oozes out of the adorable Crayola containers for lots of fun. The colors are bright and beautiful and these Slyme sets comes in packs of 3 or 6. Lucky Ducks Game is an adorable game for little ones to enjoy. The ducks move in a circle and you need to find your shape amongst the ducks. The first one to find all 3 first wins. A fun matching game by our friends at Pressman Toy Corp ! 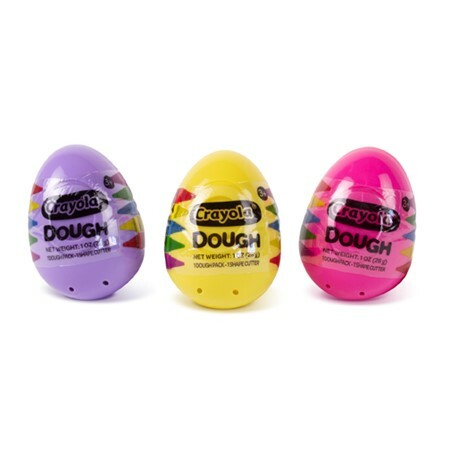 Mold, shape and mix this safe, pliable dough in a fun egg shaped container. Includes 1 oz dough and 1 shape cutter in an egg container. 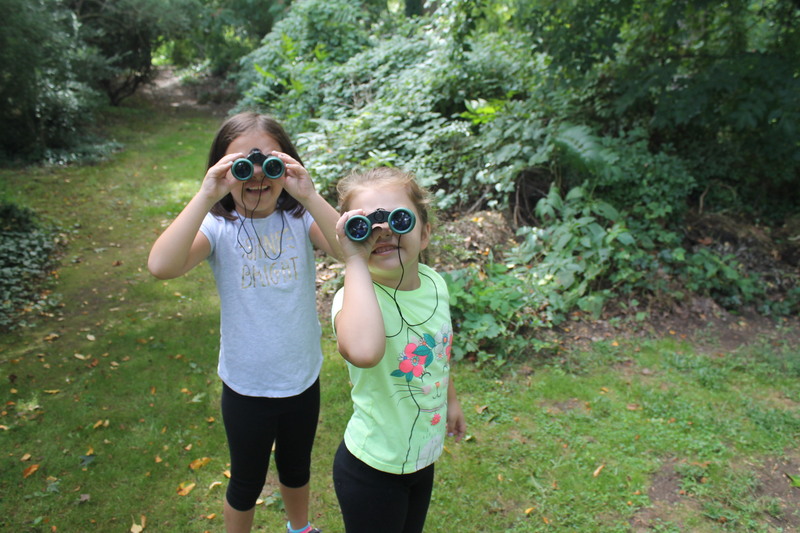 We are having so much fun trying to see without being seen and exploring in our own backyard with this awesome Periscope from our friends at Hape Toys. I am loving all of these made of Bamboo Sustainable Toys from our friends at Hape Toys. They are made so well and we love to explore. The popular Cry Babies now in a fun, mini size! We opened the garage packs and inside we found one Rare glow in the dark Deliver-e Bot and one Special Edition Metallic Titanium car. There are over 30 cars to collect from our friends at Headstart Toys. Aqua Squisheez represents a totally new concept in squishy and grow products. Filled with a material that expands in water, Aqua Squisheez will “inflate“ five times their original size in 10-15 minutes after emerging in water. Once inflated they become super soft and squishy, and will not dry out or shrink! Lots of fun to watch grow, and even more fun to squish and play with! There are five styles to choose from. Each of the My Garden Scented fairies smell like the flower it comes with. There is Rosie, Sweet Pea and Jasmine. And each fairy comes with a butterfly that can go into a clip that you can wear in your hair. We love My Fairy Garden® for Spring Fun! I love that these adorable sets come with dirt and magical seeds. Your kids will love these. Looking to fill your baskets even more? I recently headed over to our local dollar tree and found some incredible items like: jump ropes, puzzles, playing cards, fun packs that have coloring activities inside, bubbles and so much more. I love that the toys have some of our kids favorite licensed characters on them, as well. I saw lots of characters on these items such as the Avengers, Mickey and Minnie Mouse, Paw Patrol, Hatchimals, and the Teenage Mutant Ninja Turtles. The dollar tree has a great selection of crafty items, spring fun (like kites, outdoor games, gardening gloves, seeds and flower pots) and toys for kids. I am the type of parent that loves to stick some traditional Easter candies in the basket (like jelly beans and a chocolate bunny or two and of course a small package of Peeps) but, I am excited to fill their baskets with some pretty awesome toys, as well. I hope this guide helps you find something your kids will love and enjoy opening this Easter morning. Hope the Easter Bunny treats you good this year! And a HUGE Thank you to our friends at Fun Stuff Toys in Seaford for helping us with this list of great toys. Shop local!